Starting a coin collection especially for your children can be fun and exciting. More than that, it can be profitable too. A lot of parents start a gallery of their coin collection for the sake of their children and the generation after. It is quite a thrill to fancy old coins and show your kids how the mode of currency looks like, way back. 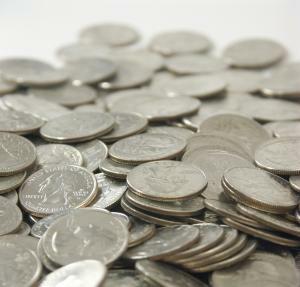 Determine the amount of money that you are willing to spend for the sake of buying old coins. Remember, a coin collection is not just a collection of old pennies but an array of very, very, very old currency used even during ancient times which means, they are quite expensive and relatively centuries old. What is your goal in collecting coins? For gifts? Investment? Hobby? You have to decide whether or not this collection will go on for years or it will stop at some point in your child’s life. For the sake of discussion, we’ll tackle about starting on a very tiny budget, much like 50-100 dollars a year. With this kind of budget, you could buy several kinds of coins namely the Mint sets which would not be more than $100. Fancy Silver Proof costs about $40 same as with Uncirculated set which would just amount at $25. You can go through the Internet and search for probable coin prices which are not that expensive and would definitely reach your budget. Encouraging your child to see coin collecting as a hobby is thin, but very much possible. All you have to do is motivate them to like coin collecting by making them realize the importance and benefit they can get from it. There are several coin types that your child can appreciate namely Buffalo and Jefferson Nickels, Mercury Dimes, Wheat Cents, Roosevelt Dimes and Indian Head Pennies. Start with these and then show it your child. Sit down with him and tell short stories about the coins. This will somehow build a certain kind of interest in him. However you decide your coin collection may be – heirloom or investment reasons, or just for fun, make sure that it is safe, both for you and your child. If you’re planning to stash your heirloom and investment coins at home, bad idea. You just gave yourself a pretty good reason to be robbed. Best thing to do is get a safety deposit box and keep them safe in a place where you only know or if you really treasure your coins, put it in the bank. If your kids are actively collecting coins, make sure that it is kept in a safe place where visitors or strangers will see. If your child shows no more interest in his collection, just deposit his coin album in your bank. Never leave it hanging on a drawer because burglars will definitely take it for they are very easy to sell. Always teach your child the importance of his coin collections and tell him to keep the folders out of sight especially when people are around.